The Undergraduate Advisor for the Department of Spanish & Portuguese is located on the tenth floor of Van Hise Hall, in room 1008. Unless otherwise noted when you make an appointment, this is where you will meet with Karen. Van Hise elevators may be called by those without card access on any floor except the second through fifth floors of the building. Stairwells are located on the northeast and southwest sides of the main tower. Got questions about Spanish or Portuguese classes, the Spanish or Portuguese major, or the Certificate in Spanish Studies for Business Majors? Stop on by! Please check our website for answers to common questions. If you have a quick question that does not require a conversation, feel free to email. 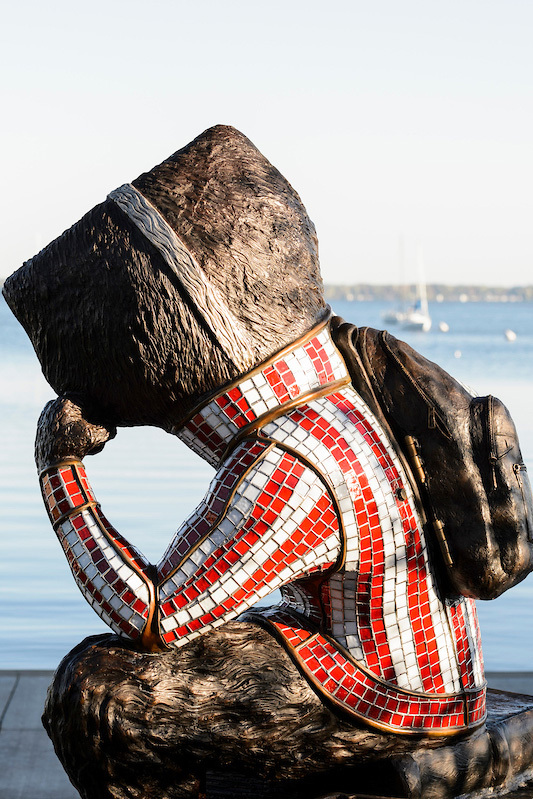 The email should come from your wisc.edu email account (why?) and include your Campus ID number. If it is an ongoing email conversation, please include the history. Questions about remaining course requirements or impending graduation must be accompanied by the appropriate DARS report. Not sure how to run your DARS report? Step-by-step instructions are available here. Students with recent study abroad experience whose courses do not yet appear on their UW-Madison records should include a list of approved course equivalencies for the courses taken abroad so they can be checked against your DARS report. If it is determined that your question cannot be answered via email you may be asked to make an appointment. Walk-in hours will be held at various times throughout the semester, generally during the first week of the term and during priority registration. Please be sure to check Starfish (learn more here) after 8:00am on the day you wish to attend walk-in hours to ascertain they were not canceled or rescheduled. Walk-in hours are offered on a first-come, first-served basis and are intended for quick (less than ten-minute) conversations. You must bring the appropriate DARS report with you if you wish to declare during walk-in hours, or if you have questions about remaining course requirements or impending graduation. Not sure how to run your DARS report? Step-by-step instructions are available here. Students with recent study abroad experience whose courses do not yet appear on their UW-Madison records should bring a list of approved course equivalencies for the courses taken abroad so they can be checked against your DARS report. Beginning March 25, 2019, Karen will be making appointments via Starfish. Learn more here. Students may make an appointment up to one week (but not less than twenty-four hours) in advance. Weekly appointment availability will be posted Thursday afternoon of the week prior. If germane, the appropriate DARS report will be run for all students making an appointment. If you need to cancel or reschedule your appointment, please do so through Starfish. Students who fail to show up for an appointment must wait at least two weeks before scheduling another appointment. Students who fail to show up for a second appointment will be unable to schedule further appointments during that term. If you are running late, please let Karen know if at all possible. Appointment times will not be extended due to late arrival. Students in the College of Letters & Science (Bachelor of Arts or Bachelor of Science designation) may declare the Spanish or Portuguese major at any time. Students not in the College of Letters & Science need permission from their primary School or College to declare the Spanish or Portuguese major. Generally, this just involves students taking a copy of their major declaration form back to their primary School or College. For students in CALS, a permission form is also required. Students with a “pre” designation (ie: Pre-Nursing/PRN, Pre-Kinesiology/PKN, General Engineering/EGR, among others) are unable to declare a College of Letters & Science major until they have been officially admitted into that School or College. To declare, simply make an appointment here or stop by during walk-in hours. You may also declare online if you do not feel the need for an in-person meeting. You must bring the appropriate DARS report with you if you wish to declare the Spanish or Portuguese major during walk-in hours. Not sure how to run your DARS report? Step-by-step instructions are available here. Students with recent study abroad experience whose courses do not yet appear on their UW-Madison records should bring a list of approved course equivalencies for the courses taken abroad so we can check it against your DARS report. Students must be admitted to the School of Business prior to declaring the Certificate in Spanish Studies for Business Majors. You must bring a “what-if” certificate DARS report with you if you wish to declare the Certificate in Spanish Studies for Business Majors during walk-in hours. Not sure how to run your DARS report? Step-by-step instructions are available here. Students with recent study abroad experience whose courses do not yet appear on their UW-Madison records should bring a list of approved course equivalencies for the courses taken abroad so we can check it against your DARS report. Interested in Honors in the Liberal Arts (the “Honors Degree”)? You can find more information about admission to the program here. Interested in declaring Honors in the Major in either Spanish or Portuguese? Please bring this form with you to an appointment or to walk-in hours. Need to cancel your Spanish or Portuguese major or Certificate in Spanish Studies for Business Majors? We’re sorry to see you go! You may cancel online. 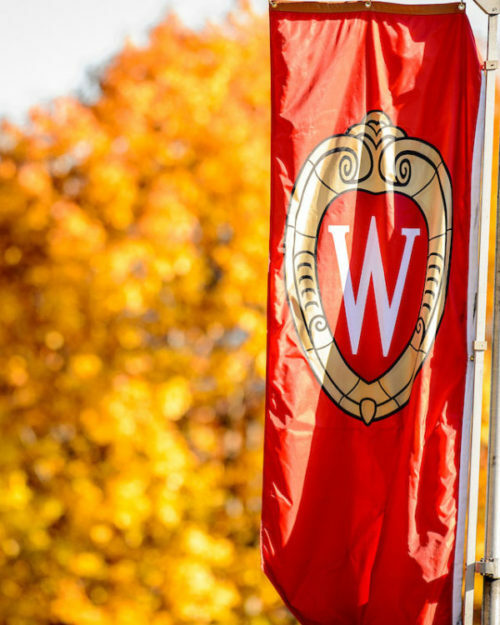 With close to 600 Spanish and Portuguese majors at UW-Madison, and many hundreds more students in our language sequence, Karen is dedicated to serving current UW-Madison students during the academic year. She will gladly meet with prospective students during spring break (mid-March), summer break (mid-May through mid-August), and winter break (end of December through mid-January). Karen requires a minimum of two weeks advanced notice to schedule an appointment and is happy to schedule face-to-face or phone appointments with prospective students.